Learn the ancient practice of Shamanic Journeying to deepen your spiritual practice, and access the wisdom and guidance of your spirit guides. 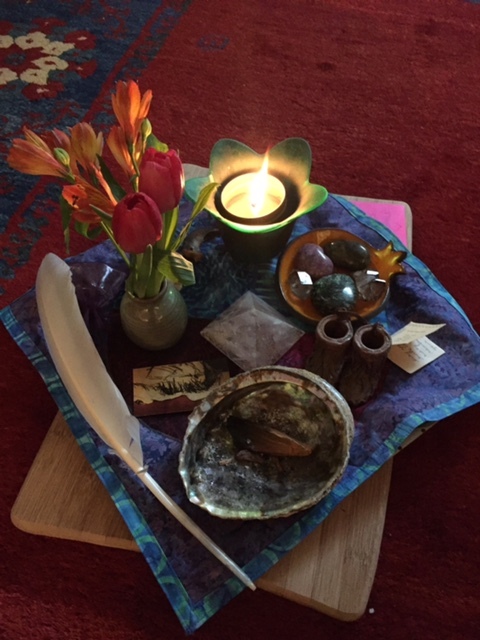 In the workshop you will learn how to open sacred space, set an alter, journey to find your power animal and so much more. Do you wish for guidance and healing to be available whenever you need it? If so you may consider learning the practice of shamanic journeying. For thousands of years, shamans around the world have journeyed to other levels of reality gaining access to information that may seem quite extraordinary about how to treat and prevent illness, avoid negative situations, clear family issues, plan for the future, and more. You do not have to be a working shaman to access this information as everybody can learn this practice and apply it to daily life. Once you have learned the core skills, the practice is alive within you – available whenever you need it. Having this skill leads to a feeling of personal empowerment, and it helps you better fulfill your role within your family and community. Bring your own lunch. Snacks and tea are provided. The Shaman's Journey course is partly based on Sandra Ingerman work on core shamanism. It is, therefore, helpful to read Ingerman's book: Shamanic Journeying: A Beginner's Guide. This book is a resource for before and after the workshop both as preparation and as follow up. Sony Baron is a licensed psychotherapist, shamanic practitioner, family constellation facilitator and a teacher. Her educational background includes Counselling Psychology (MA), Education (MA), Extensive Shamanic Training and Practice including 2 year shamanic teacher training, System's Constellation facilitation advanced training, and more. Sony has a private practice of psychotherapy and shamanism in Victoria. Beside her passion of working with soul and spirit, Sony loves weaving, spending time with plants while gardening or being in nature, reading, and taking long walks. Visit her website baroncounselling.com.